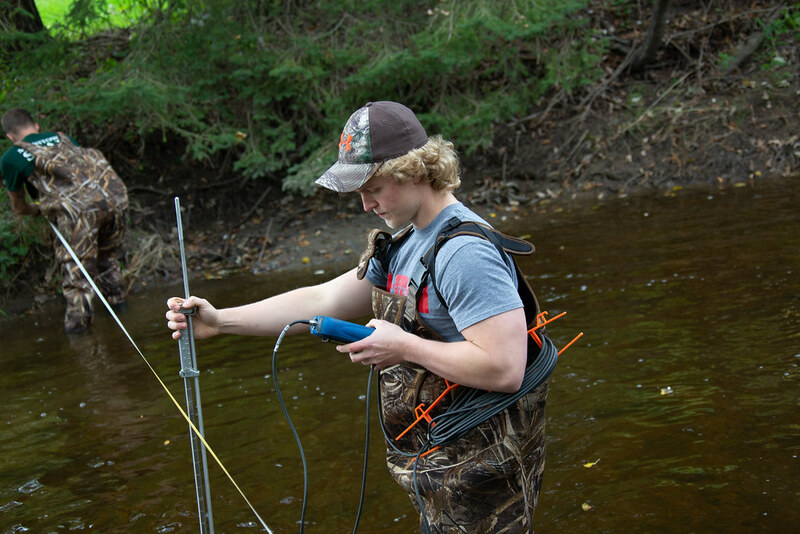 Since 2008, student interns from the University of Wisconsin-Green Bay, Manitowoc Campus have helped the Lakeshore Natural Resource Partnership check water quality along creeks and other waters ways in the area. And each year, the data students gather helps to influence the actions of local land holders, as well as the policy of government officials. 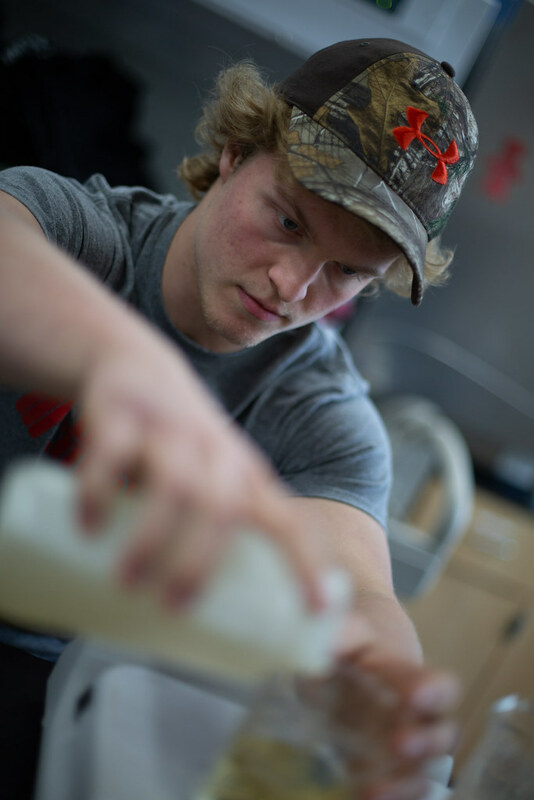 These first and second year college students will present their most recent findings at the Lakeshore Water Summit from 6 to 8 p.m. on Wednesday, Oct. 10, at Founders Hall, Room 149, on the Manitowoc Campus. 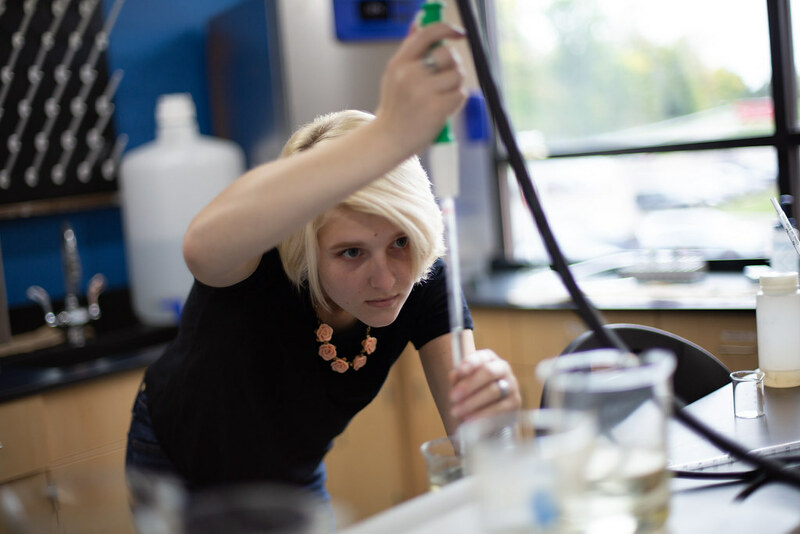 And their findings are stunning, says Biology Professor Rebecca Abler. Students working with Abler and Professor Rick Hein (Biology), have found that even minor changes can have a major effect on not just creek water, but also on water downstream as well. 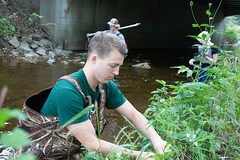 The research started, said Jim Kettler, executive director of the Lakeshore Natural Resource Partnership, in 2008 in Centerville Creek near the village of Cleveland, Wis. In that year, researchers took baseline data to determine the water quality in the area. From there the group grew into the Friends of Hika Bay, and eventually into the Lakeshore Water Institute in 2012. 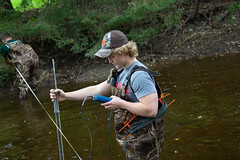 Now the group has six interns analyzing data from five different Manitowoc County creeks. The lakes continue to see high levels of E. coli and phosphorous, he said, but the water in the area is seeing some improvement. More importantly, he said, it has allowed farmers in the area to see the impacts on the water quality and to take more ownership of what goes into the water, as well as the water quality. Research from the students has identified manure leaks into the water that may have gone unnoticed previously, he said. 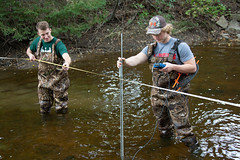 For Russ Tooley, a landowner in the area, the students’ work helps him to understand what is going on in the water. 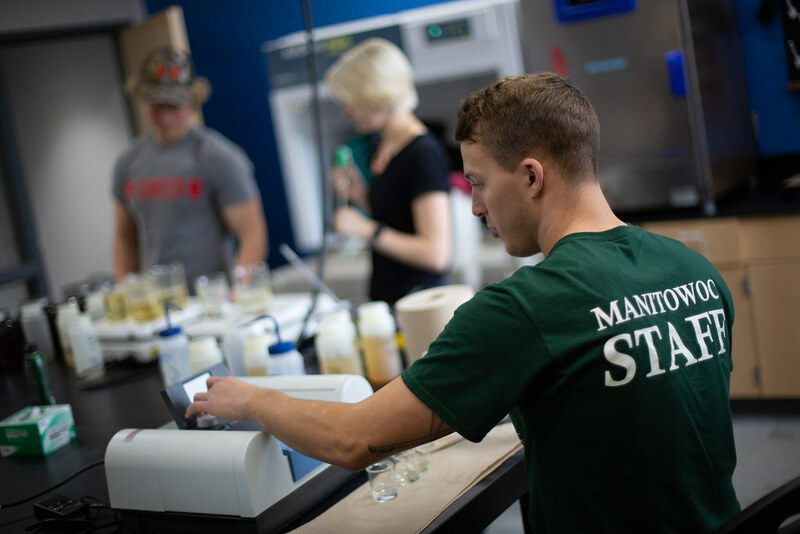 When the manure spill happened, Tooley said, students were quick to notice the dramatic change in the water, and to work with the Department of Natural Resources to clean the manure spill up. But the study impacts more than just Centerville Creek and the creeks in the surrounding areas, Abler said. Local actions, she said, have been proven to have a trickle-down effect. 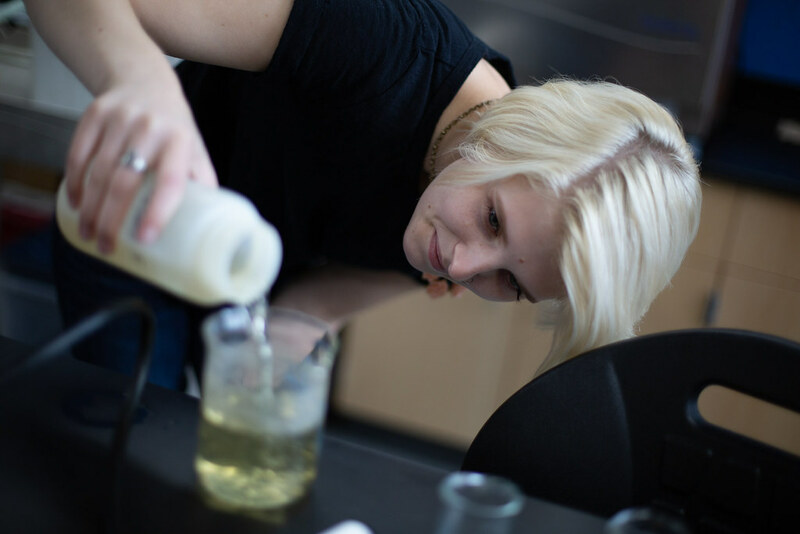 Dirty water does more than just look bad, she said. When phosphorous grows, it impacts the amount of rotting algae in the water. Algae blooms can create a foul smell that can decrease property values, negatively impact tourism and even cause problems at power plants through clogged pipes, increasing the end users’ utility bills. The algae problem was much worse years ago, Tooley said. Having the students do the research also helps bring the university closer to the community, he said. 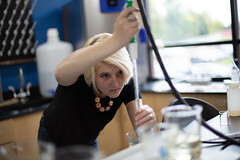 While students are only in their first and second years, Abler said, much of their work border on graduate level research. And their findings can have lasting impact on policies for years to come, she said. The Lakeshore Water Summit will focus on emerging trends in Manitowoc County Stream Quality for 2018. 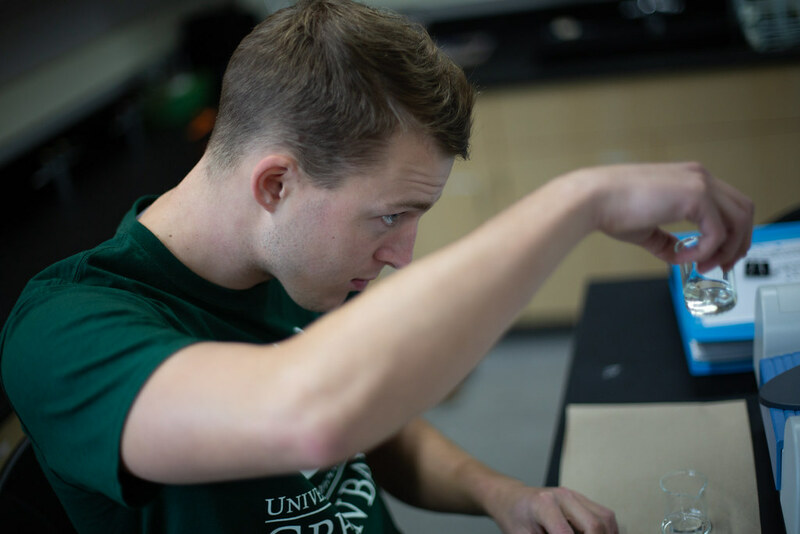 The event begins at 6 p.m. with a social period, followed by student presentations beginning at 6:30 p.m. Students and their professors will be on hand following the presentations to answer questions. Attendees will also have an opportunity to become members of the Lakeshore Water Institute at the event. For more information, contact Rebecca Abler at Rebecca.ab,er@uwc.edu, or Jenn Hansmann with the LNRP at jenn@lnrp.org. This entry was posted in Go Green! on October 3, 2018 by Sue Bodilly.